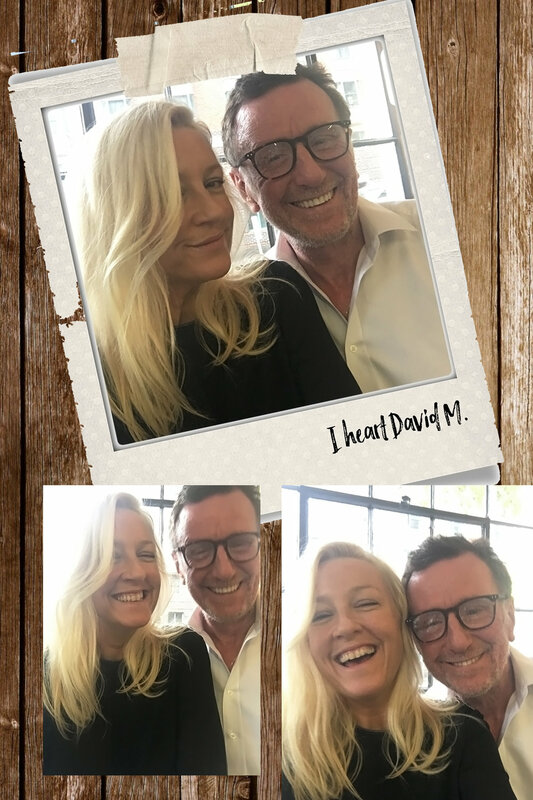 David Mallet is the most celebrated hair stylist in Paris. With two salons (one in the newRitz Paris) and a client list which includes everyone from Charlotte Gainsbourg to Gwyneth Patrow - his new haircare line has fast become a cult beauty buy. Renowned for his effortless approach to styling and cut, David pioneered the 'lived in look' that French women own and the rest of the world want. It's certainly the hair I covet most. We met when I was 19 - he was a hair stylist on the rise and I was a fashion assistant - and he remains the funniest, warmest and most talented of men. I caught up with him last week (finally) for a lesson in how to style the French Girl look at home. Stop Washing Your Hair: French women wash their hair once a week. Tops. Cut down the amount of product your using and only use a teeniest bit of conditioner. And never any on the roots. In Australia, we tend to over wash and over condition. Switching the amount of product you use under the shower makes a huge difference in texture and movement. You Need To Actually Live In It:French women blow dry their hair properly and then they leave it alone. Sleep on it, live with it and each day it gets more and more 'undone'. It's an authentic process and that's why it looks so lived and cool. Put The Brush Down: French women don’t really use a brush. They use their hands to rake through the lengths and massage the roots with their finger tips to get lift. This keeps texture and provides a softer, less done finish. Over-brushing can also cause hair breakage and promote frizz. Never Straight. Ever: French women do not straighten their hair. They would never use a hair iron. Often when women have a hair cut at the salon they ask me to mess it up before they leave" said David. "They like hair that looks 'alive' to them straight hair is dead and depressing". Bend Not Curl: Use a tong but you are bending. Never, ever curling. It's a very restrained end. "You can also add your products and then tie your hair up in a top knot for a few hours." says David. " Then release the tie, shake it out - this will give you a similar kink". Styling The French Girl Look. ♥ Wash your hair and towel dry. Then spray damp hair from mid length to ends to with sea salt spray. "I like to use my hands to work the product into the hair." said David. "You can't just leave it sitting on the strands. Massage it in to activate it". ♥ Using your hands instead of a brush, start blowdrying your hair. Roughly is fine. Scrunch sections of the hair from the bottom up toward your jawline using your hands. Keep repeating this process as the hair dries off and it will help promote the hairs natural shape and texture. ♥ Once the hair is dry use styling tongs to create random bends on the top layers. You don't want (or need) to do your whole head. Use the tong in different directions to further emphasis the 'lived in' look. You don't want anything to look sequential. ♥ Shake out hair from the roots and use your fingers to loosen the bends into the finish you want. Then stop touching it. Stop. ♥ Finish with volume powder at the crown to give extra root lift. You can add a little of this in everyday or as you need it because remember you're not washing your hair for a week.